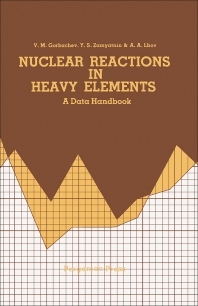 Nuclear Reactions in Heavy Elements: A Data Handbook focuses on the physical constants of the elements, the properties of isotopes, and data on radioactive decay. This book examines the methods for obtaining heavy elements. Organized into two parts encompassing nine chapters, this book begins with an overview of data on neutron cross-sections. This text then provides salient information on cross-sections of photo-reactions and of interactions of charged particles with nuclei. Other chapters consider some general characteristics of the fission process as well as the basic characteristics of spontaneous fission of heavy metals. This book discusses as well the basic characteristics of binary fission of heavy nuclei, including the energies and yields of fission elements, their distribution with regard to mass, and the range of fragments. The final chapter deals with data on various kinds of radiation accompanying the fission process.